La Croix Water. 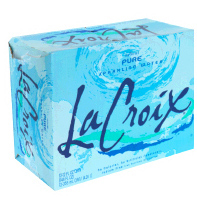 We carry LaCroix Sparkling water in the can. They come 12 cans to a case. LaCroix Natural Sparkling Water - Naturally Pure.